The Oklahoma City Thunder were five minutes from the NBA Finals. Then, their late-game problems returned as the Golden State Warriors saved their season to force a Game 7. OKLAHOMA CITY — Watching a loved one relapse is a particular flavor of excruciating, an amalgam of helplessness, anger, befuddlement and despair that sends the mind racing with unanswerable questions. Why is this happening? What triggered this? Why now? Why me? Those wheels started turning throughout a building that packed in 18,000-plus fans, most of them wearing blue Thunder t-shirts while they stood to watch one of the most competitive and intense basketball games in recent memory. Oklahoma City’s fans have witnessed more than their fair share of collapses this season, just not recently. After finishing the regular season ranked 20th in clutch situations, owing to bouts of one-on-one play and poor decision-making, the Thunder have ripped through the playoffs like new men, gutting out tough, controversial wins against the Spurs and blowing out the Warriors so badly on multiple occasions that the fourth quarter was inconsequential. But with just five minutes separating Kevin Durant, Russell Westbrook and the Thunder from their first Finals trip since 2012, all of the mistakes and bad habits came rushing back at once. The crowd, so energetic throughout the postseason, saw the relapse unfolding—no, they felt it unfolding. With three minutes left, some fans began averting their eyes, covering their face with their hands or turning their backs to the court. Others shouted profanities and muttered under their breath. A relapse is the particular flavor of excruciating that can turn a family against its favorite son, and that’s exactly what just happened. Five minutes from pandemonium, five minutes from polishing off the greatest regular season team in NBA history, five minutes from a rematch with LeBron James, the Thunder—mostly Durant and Westbrook—let it all get away, reverting to the poor shot selection and mindless turnovers that represent the star duo at their worst. A little. With coach Steve Kerr finally deploying his ultra-devastating center-less lineup, the Warriors, who led the league in clutch situations this year, outscored the Thunder 19–5 in the final five minutes. The deeper the two teams waded into crunch-time, the more the Warriors started swimming circles around the drowning Thunder. 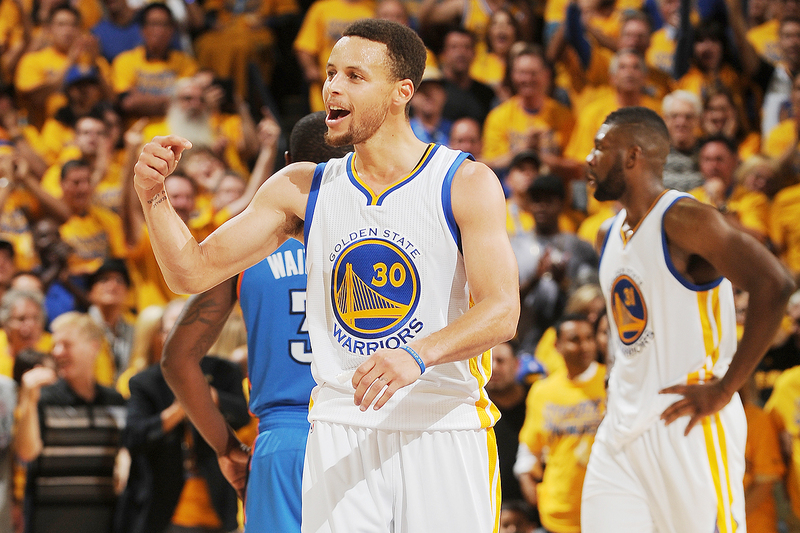 During the final two minutes, Golden State closed on a 9–0 run, forcing four Oklahoma City turnovers along the way. This was poise versus panic, both in purest form, as Andre Iguodala deftly poked away two steals while Westbrook coughed up the ball in increasingly perplexing fashion. Carrying Golden State through its late burst was Klay Thompson, who set an NBA playoff record by hitting 11 three-pointers, five of them during a 19-point fourth-quarter explosion. There was no one dagger; Thompson was simply a walking, talking cutlery shop as he tallied 41 points, although his final three-pointer, fresh off a Westbrook turnover, gave the Warriors the lead for good with 1:35 to play. 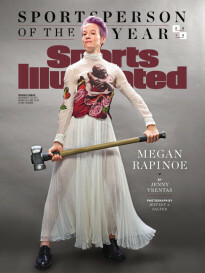 Thompson mixed quick-trigger ruthlessness with a stone-faced, matter-of-fact demeanor. 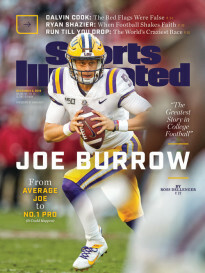 Afterward, he shrugged off his record-setting performance in a way only he could. “I should have had at least 13 because I missed some wide open looks early,” Thompson said. Here was the expressionless, perfectionist heartbreaker at it again, sweating his misfires instead of indulging in his season-saving performance. The difference between Thompson and the Durant/Westbrook combination down the stretch was as stark as can be: In the fourth quarter, Thompson scored 19 points on nine shots without committing a turnover, while the Thunder stars combined for 12 points on 3-of-14 shooting and six turnovers. Meanwhile, Stephen Curry also delivered his second straight strong fourth-quarter, hitting two three-pointers, dishing an assist and avoiding any turnovers en route to 29 points, 10 rebounds and nine assists on the evening. While Thompson carefully lined up threes, some of them deep and many of them tightly-contested, Westbrook threw away an inbounds pass, Durant sent a misguided pass to Westbrook through traffic and both were stripped clean by Iguodala. Following Game 5, a loss in Oakland, Durant jabbed at Curry’s defense while Westbrook openly laughed, but both Saturday wore the faces of men on the wrong side of karma. “They got hot from the three,” Durant said curtly, when asked to explain the one-sided ending. It may have been the 11th 3-1 series comeback in NBA playoff history, but the Cavaliers became the first team to rally from a 3-1 deficit in the NBA Finals after beating the defending champion Golden State Warriors 93-89. Playing his sixth straight finals, LeBron James almost single-handedly carried the Cleveland back into this series and finished with 27 points, 11 assists and 11 rebounds as the Cavs gave their city its first major sports winner since the Browns won the NFL title in 1964. He also had three blocked shots, including a key one of Andre Iguodala on a fast break in the final minutes. The Golden State Warriors, fresh off their record 73-win season, rallied to topple Kevin Durant and the Oklahoma City Thunder in a 96–88 Game 7 classic. Led by their backcourt duo Stephen Curry and Klay Thompson, the Warriors can win their third-ever NBA title. 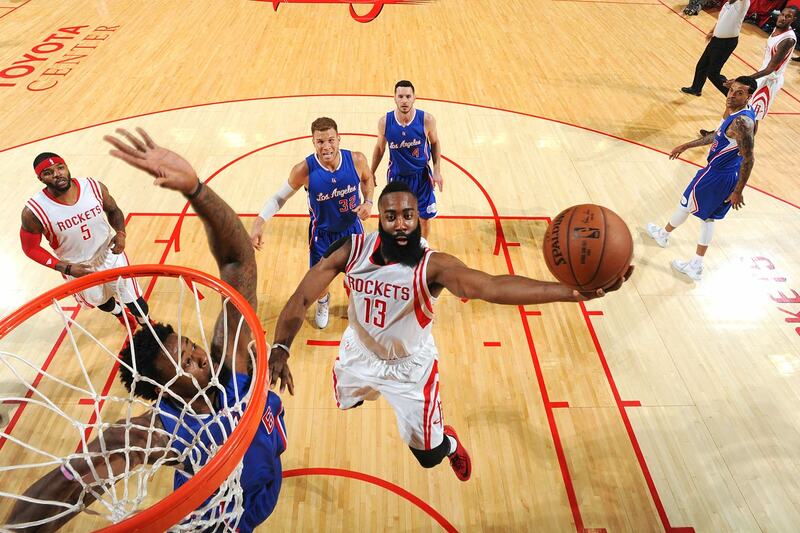 Houston overcame a 19-point third-quarter deficit in Game 6, and James Harden scored 31 points in the Rockets' 113-100 Game 7 victory over the Clippers, sending them to the conference finals for the first time since 1997. The Suns went from the brink to a blowout, from the edge of elimination to one of the most impressive turnarounds in NBA playoff history. 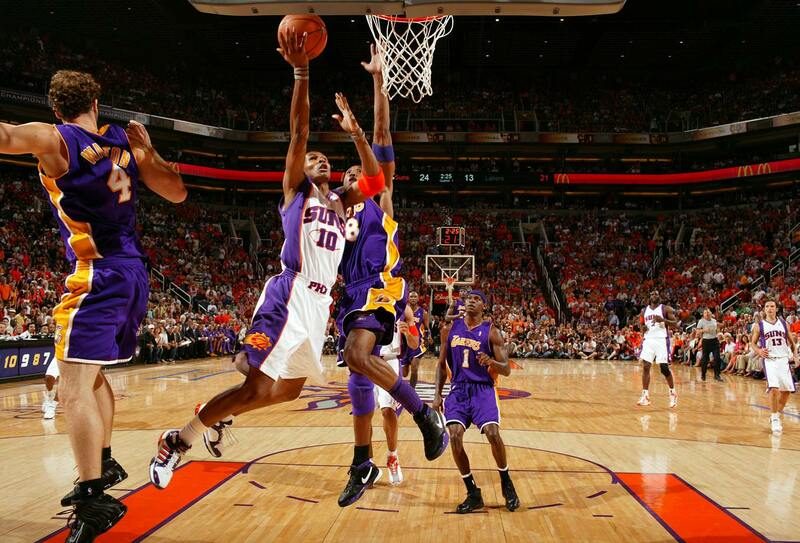 Leandro Barbosa led the way in Game 7, scoring 26 points on 10-of-12 shooting in a 121-90 laugher. 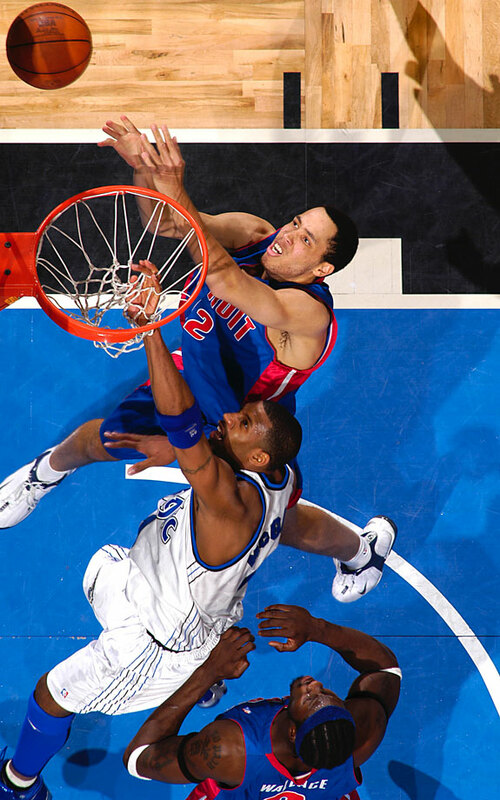 Tayshaun Prince — a seldom-used rookie who average just 10 minutes during the regular season and sat out 40 games — made Tracy McGrady's life difficult through most of the series. Prince had a career-high 20 points while harassing McGrady defensively as Detroit defeated Orlando decisively in Game 7, 108-93. Miami won Game 5 96–81, which was highlighted by a brawl that started when P.J. Brown objected to Charlie Ward's attempt to gain position for a rebound. 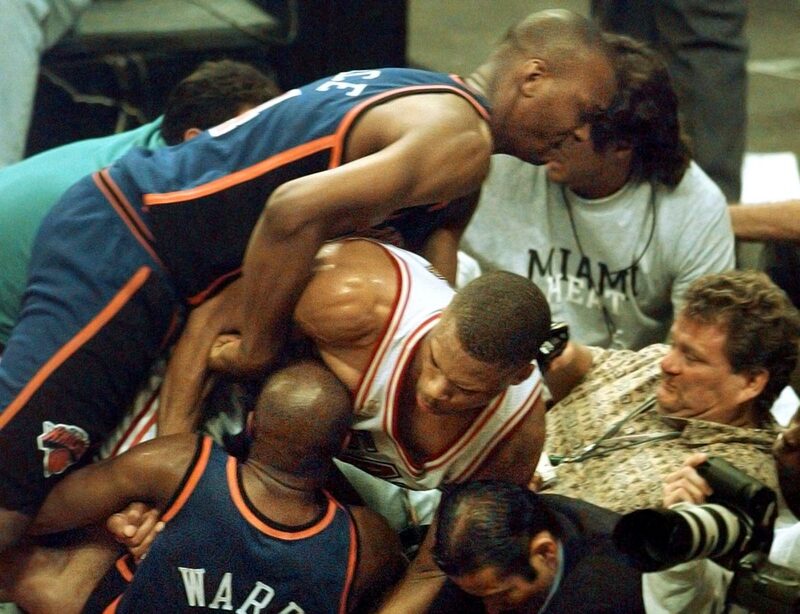 During the brawl, Patrick Ewing, Allan Houston, Larry Johnson and John Starks left the bench; the league punished them for this by handing out 1-game suspensions spread out over the series' final 2 games. Shorthanded by the suspensions, the Knicks lost Games 6 and 7, 95–90 and 101–90 respectively. 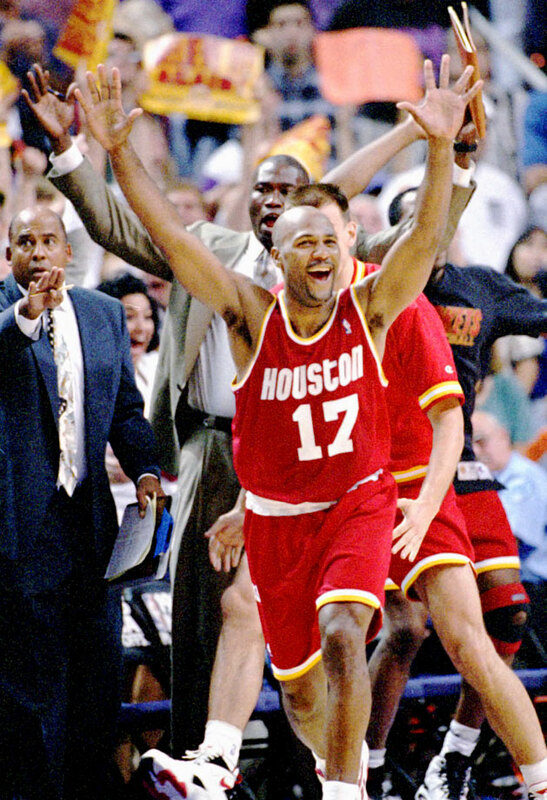 Mario Elie nailed a go-ahead three-pointer from the corner with 7.1 seconds left, known as the "Kiss of Death," as the Rockets won Game 7 115-114 at Phoenix, en route to claiming a second straight NBA title. A tight series between two 62-win teams fittingly went down to the wire. 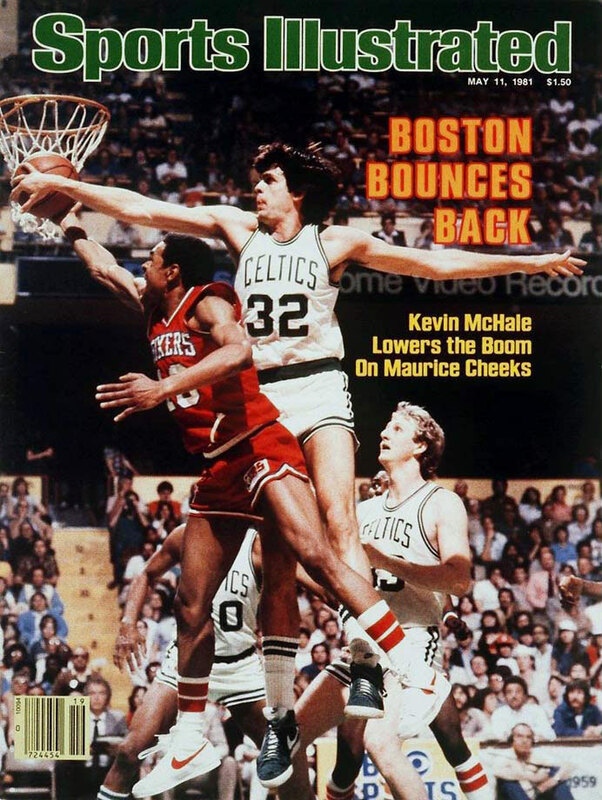 Larry Bird hit a go-ahead bank shot in the final minute as the Celtics rallied from a six-point deficit in the final 4:30 to beat Philadelphia 91-90 in Game 7. 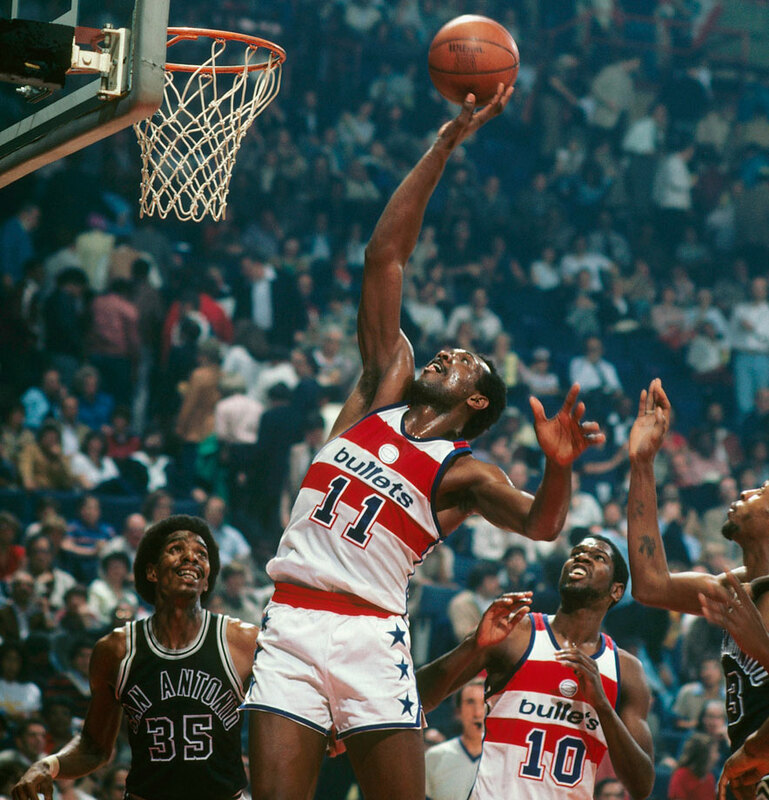 Elvin Hayes averaged 25 points in Games 5-7, and the Spurs suffered a devastating 107-105 loss to the Bullets in the final game of the series. San Antonio was called for seven fouls in the final 3:39 and Washington went on a 10-2 run in the final two minutes. 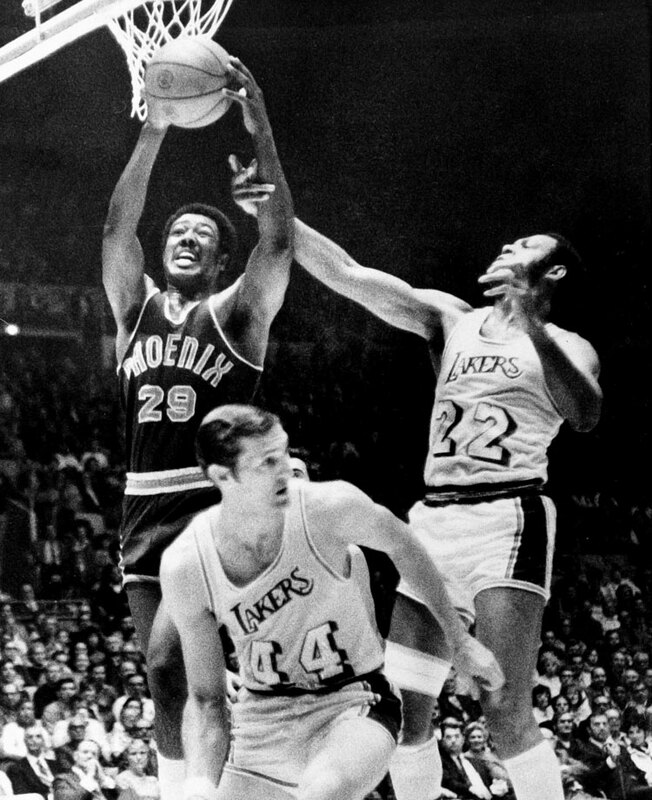 The Lakers rallied to win the final three games by double digits on the backs of Elgin Baylor, Jerry West and Wilt Chamberlain. "Mr. 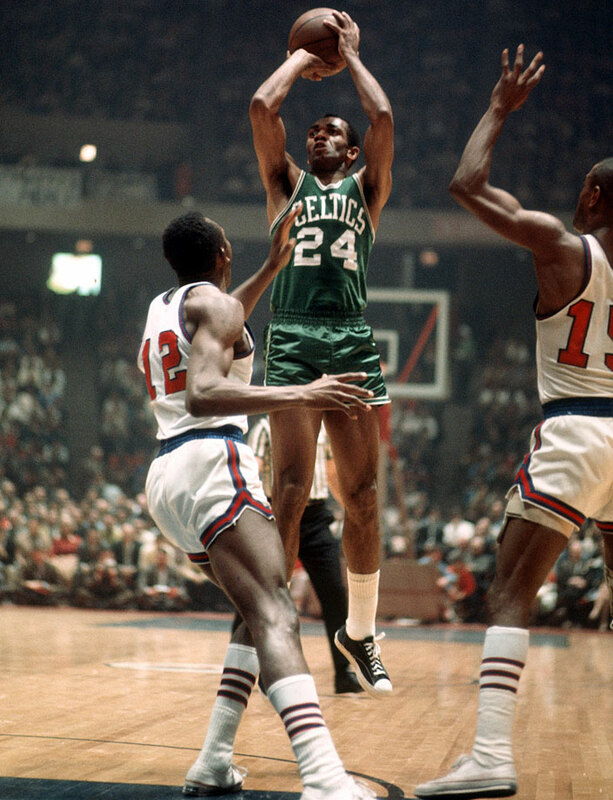 Clutch" Sam Jones led the Celtics with 22 points in Game 7 as Boston became the first team in NBA history to comeback from a 3-1 series deficit, defeating the defending champion 76ers. Durant and Westbrook had largely outperformed their star counterparts throughout this series, but both were guilty of pressing, and then cracking, in the biggest game of their season. Durant went 6-of-19 in the first half and finished 1-of-8 from deep on the night, scoring 29 points on 31 shots. Westbrook had 28 points on 10-of-27 and 0-of-4 from deep with his five turnovers working against his 11 assists. If either player had gotten it going from outside, perhaps Oklahoma City could have held on. Instead, the Warriors finished with 21 three-pointers to the Thunder’s three, a +18 differential that set a new NBA postseason record. After bottling up the Warriors’ guards for so much of this series, the Thunder lost track of them in late critical moments, sometimes only for a split-second. For the first time in a West finals that has seen the Warriors survive a letdown Game 1, Draymond Green’s flagrant kick in Game 3, an all-around stinker in Game 4, and tense finishes in Games 5 and 6, the defending champions finally seem to possess the momentum. Golden State has climbed out of its 3–1 hole and has the opportunity to put the finishing touches on a sublime series in Game 7 at Oracle Arena on Monday. While Donovan set the tone for the Thunder by repeating how “excited” he was for Game 7, the Warriors have regained home-court advantage, they’ve finally unleashed their three-point shooting and they’ve held the Thunder’s offense in check for two straight games. Although Golden State has not played a Game 7 during the Kerr era, it is 5–1 in closeout games over the last two postseasons, with the only loss coming on the road in Game 4 while leading the Rockets 3–0 in the 2015 West finals. The Thunder have but one off day to regroup from this unbearably cruel turn, but one day to shake off the nagging thought that lingered in the Chesapeake Energy Arena well after the final buzzer: They had been better than this, they had conquered these demons, until they hadn’t.